Abu Dhabi: A high-voltage encounter is on the cards when Saudi Arabia take on Qatar in the Group E fixture of the AFC Asian Cup at the Zayed Sports City Stadium on Thursday. The action starts at 8pm. It’s a dead rubber as both teams have qualified with two wins each but with the top place in the Group still up for grabs, both sides will be keen to finish at the top and keep their winning momentum going in the round of 16. A draw will be enough for Qatar to top the group as they have a better goal difference than the Saudis. We know there will be lot of support for this game and everyone has high expectations. We have maximum confidence in the players. 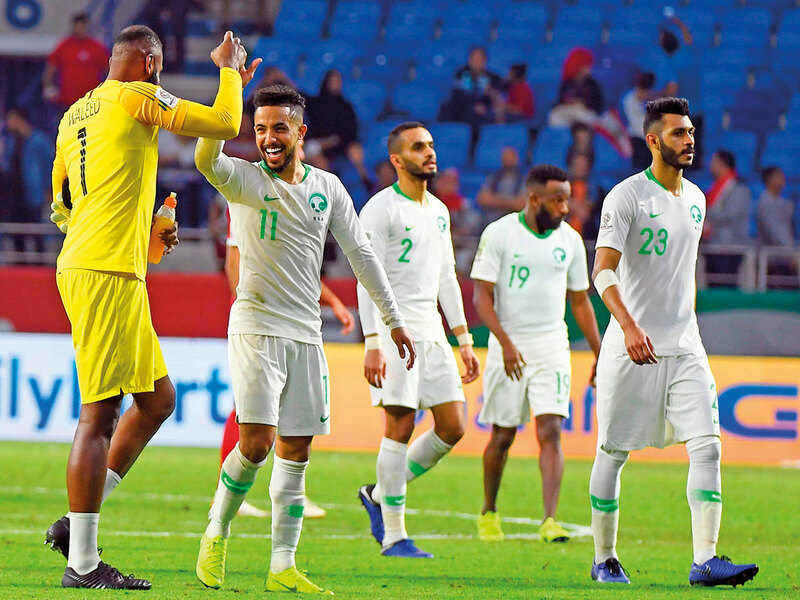 Nevertheless, the Green Falcons, under Juan Antonio Pizzi, have shown a lot of promise and the victories against North Korea and Lebanon have proved that they have the quality to go all the way. Pizzi said the team have strong aspirations for winning the match against Qatar and will give their best. The coach went on to add that their opponents Qatar have plenty of strengths and the goals they have scored proves that. “Qatar have their strengths and have skilful players for the tactical roles but at the same time, we have a distinguished group of players who are capable of making a difference. As a coach, it is my job to show how to exploit our strengths. Our players are always ready to learn and understand,” said the Argentine adding that his key player Yasser Shahrani is still on injury list but improving well. Qatar won their opening match against a resilient Lebanon 2-0 before humiliating North Korea 6-0. Coach Felix Sanchez said: “We are doing exactly the same as we have for the other games but we know it is a match which will decide top spot. We will plan well, as we did for the other matches, as we want to win the group. “It is going to be a tough game but, hopefully, we can get the result we desire. Forwards Almoez Ali, the 22-year-old who bagged four goals against North Korea, and Akram Afif have been outstanding so far. However, goalkeeper Saad Al Sheeb, speaking to AFC website, said it has been a solid team effort. “Almoez and Akram are very good players and with the help of the other players, have helped Qatar progress. We are one team — whether the 11 players who start, those on the bench and the coaching staff,” he said. “Our strength, as I said, lies in our team spirit. The coach has prepared us well, whether in attack or defence. Our spirit is high as we really want to do well in the Asian Cup. We have worked very hard and will continue doing so as we want to progress as far as we can in the competition.